Since deploying BoldChat, Signet has seen significant results. 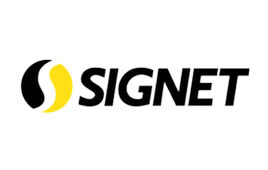 A leading distributor of industrial and business supplies, Signet has grown from a single warehouse in Brisbane, Australia to a nationwide network, competing on the strength of its award-winning customer service. Digital disruption across their industry means that customers can now effectively shop online, and have a wide variety of communication options at their fingertips. Signet understood the changing needs of its digital customers, and wanted to ensure their customer service would continue to set the company apart. Their goal: create an online, 24/7 support environment that felt like a ‘live’ experience – as if a sales person were accessible to the customer at every step of the purchasing process. Signet began looking for a live chat solution that would help them boost online sales, increase retention through proactive customer engagement and support, and integrate with their existing sales software. After reviewing several options, Signet selected BoldChat. A key point in choosing BoldChat was for its seamless integration with the company’s CRM system, enabling support staff to capture and access real-time customer data. It was also important that BoldChat could adapt to suit shifting business needs. During busy periods when there is not enough staff to answer enquiries, the BoldChat button can be hidden. For off-peak support, BoldChat offered the ability to provide email support. A simple implementation and three-month BoldChat pilot solidified the decision – Signet staff was able to provide proactive, real-time support, and the company saw an immediate rise in conversion rates. Overall customer feedback on BoldChat has been very positive. Customers especially value getting on-the-spot advice and quick access to specific item information via shared links. Following up to ensure customers are happy with their service is strengthening the relationships Signet has built even further.